Police are appealing for landowners to take precautions after reports of suspicious vehicles, possibly poachers on farmland in the Baumber area. 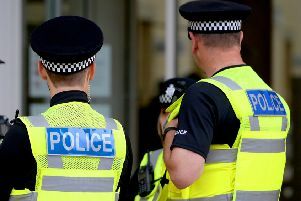 PCSO Mojahad Mohamed of Horncastle Police said there had been reports of a suspicious incident yesterday (Saturday) in the Baumber area, where three vehicles were driven onto farmland during the early hours. “It is thought they may have done so to deer poach,” said PCSO Mojahad. He added: “Another, non-reported incident of a similar type at around the same time, is believed to have happened in the Minting area. “Could you please take all reasonable steps to block access to land and padlock all gates and farm buildings.